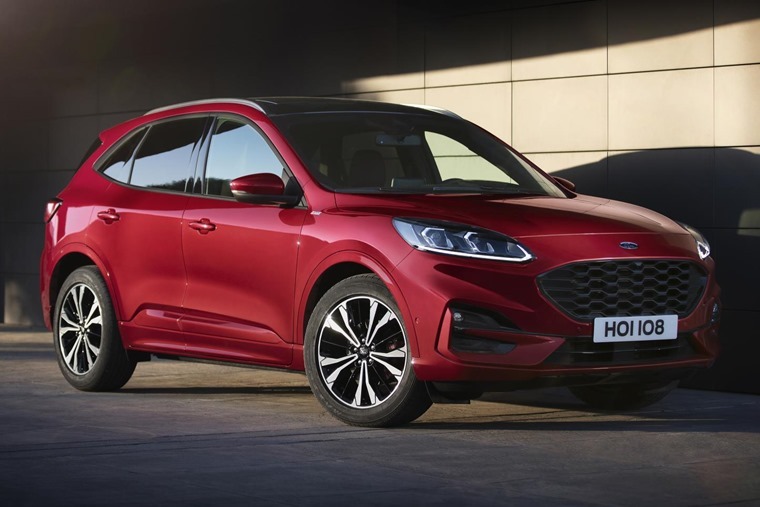 The all-new Ford Kuga has been revealed, with the second-gen model ushering in fresh looks, more space and a host of new hybrid powertrains. 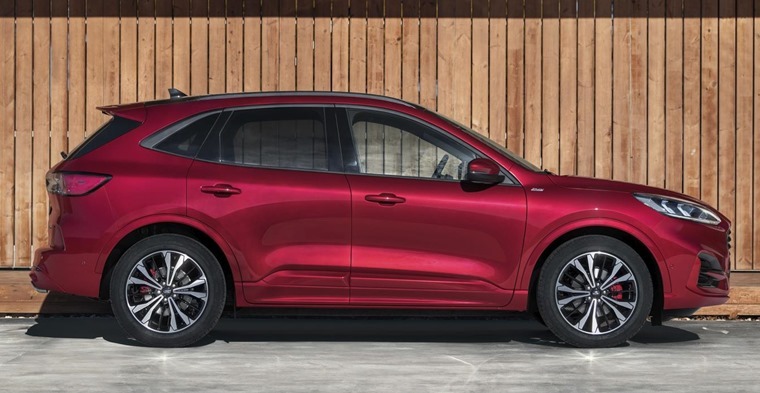 Courtesy of a thorough redesign, the Kuga gets a radical new look that borrows styling elements from the latest Fiesta and Focus models. That means a sharp front face with more angular headlights, a larger grille, and a steeper angled windscreen that results in a lower roof. It might be lower, but it’s actually bigger too: 89mm longer and 44mm wider to be precise. That said, we reckon it looks more hatchback-like than some crossovers dimensionally, although that probably has a lot to do with its Focus-derived styling, too. It’ll be available in three states of trim: Titanium, ST-Line and Vignale – all of which offer a unique look. 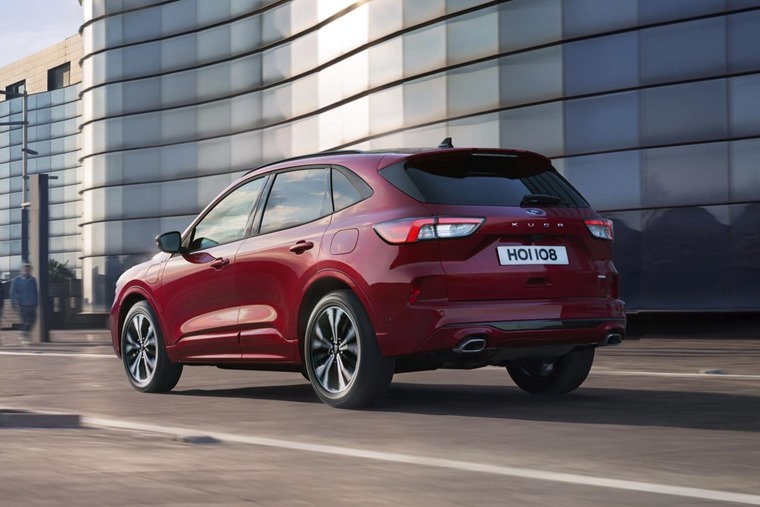 For example, ST-Line gets gloss black exterior touches, while the Vignale will benefit from a chromed satin finish. Entry-level Titanium gets features such as LED daytime running lights and 17in alloy wheels. ST-Line gets a sportier grille along with twin tailpipes, 18in alloys and a larger roof spoiler. 12 colours will be available in total, with Vignale trim offered in ‘Blue Panther’ – a new exclusive option. Thanks to its larger proportions, the Kuga gets a roomier cabin. The longer wheelbase allows for more legroom in the rear, while boot space can be increased by as much as 67 litres thanks to adjustable rear seats. Infotainment-wise, it gets a much more modern set-up than before: Ford’s latest 8in touchscreen SYNC3 system is offered, while the rest of the controls have been simplified, too. It’s compatible with Apple CarPlay and Android Auto, while options such as a head-up display and wireless charging are available at extra cost. 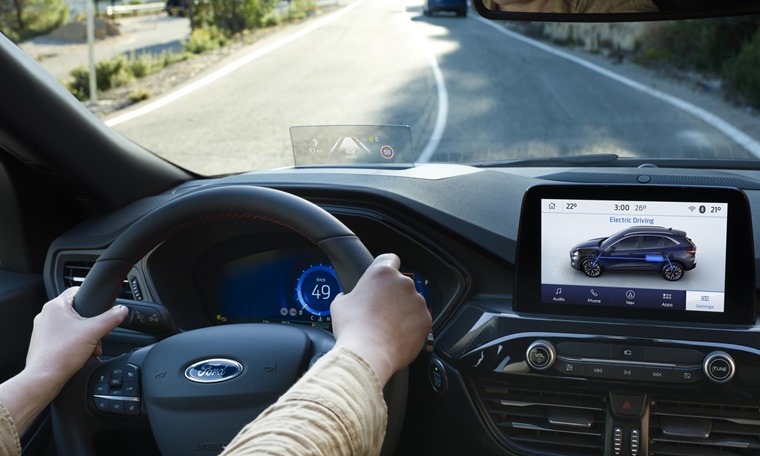 A 12.3in digital driver display is also offered, which Ford claims to be an industry-first thanks to its seamless curved edges that allows for a much cleaner design. The biggest news is arguably that the new Kuga will be available with hybrid technology. At the top of the range is a 2.5-litre plug-in hybrid all-wheel drive model that produces 225hp and emits just 29g/km of CO2. A non-plug-in version of this model is set to arrive after launch. 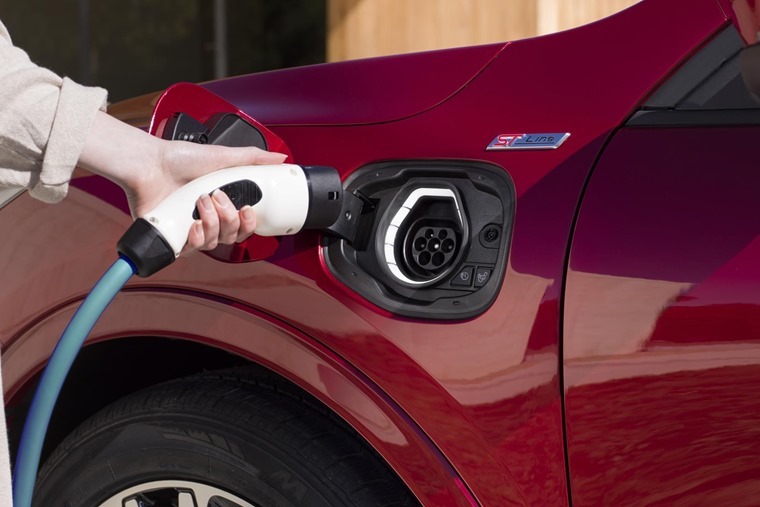 The bulk of the range is made up of Ford’s EcoBoost and EcoBlue petrol and diesel engine – which now all benefit from a 48V mild-hybrid system. The 1.5-litre petrol is available with either 120hp or 150hp; the 2.0-litre diesel with 120hp or 180hp. All options will be capable of more than 40mpg, with the 1.5-litre petrol anticipated to achieve 49mpg combined. Do you like the looks? Would you choose one over a Qashqai or Tiguan? We’ll bring you exact price and spec data for UK-bound Kugas as further details are released.